Over 25 years of experience, dedicated to your dental health. Drs. 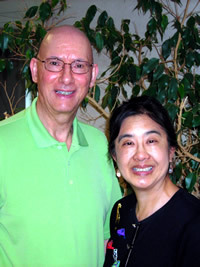 Catherine Wong and John Smolnicky both grew up in Northwest Indiana. They completed their undergraduate work at Indiana University Northwest, where they met in their senior year. Both majored in biology and went on to Indiana University School of Dentistry at Indianapolis. They were married in the summer between their 3rd and 4th years of dental school and graduated from dental school in 1985. They settled in Valparaiso for their 1st dental office and, in 1989, expanded to include a Merrillville location. In 1998 they expanded their practice to include an on site periodontist to service their patients. Dr. James E. Kirk joined Drs. Wong and Smolnicky to provide periodontial (gum health) services to their patients. This husband and wife dental team bring over 25 years of experience to their practice. They are dedicated to their patients, and to bringing excellence to their patients’ experience. Both doctors are extremely motivated for good dental and overall health and attend continuing education for dentistry as well as for diet and nutrition. Outside the dental office, both are avid readers and dog lovers. Dr. Wong likes to garden and grow orchids. She is also a knitter and likes to exercise. Dr. Smolnicky loves science, mathematics and astronomy, and enjoys target shooting and exercise. Drs. Wong & Smolnicky reside in Munster with their Chihuahua, Max, and Chihuahua dog nephew, Jaxon. They also have an Australian Shepherd dog nephew, Mani. Their god dogs live on the west coast, outside of San Francisco. These are a Minchin Chihuahua mix, Tapi, a pure breed Bedlington Terrier, Cara and a mixed breed terrier, Dazy. Dr. Kirk spent his early years in Florida, but hails from Northwest Indiana and attended Loyola University. After earning his M.S. 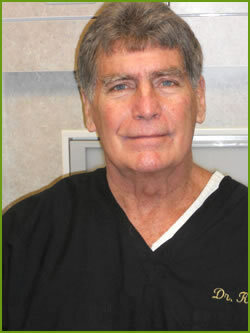 Degree in periodontics, he went on to practice in several periodontal dental offices located in the Chicagoland area. Dr. Kirk resides in Portage, Indiana and, in 1998, was approached by Dr. Wong to join their dental team. Dr. Kirk, looking to practice in his home state, took Dr. Wong up on her offer. Dr. Kirk has 6 children who are all in the healthcare industry. His oldest son and daughter are both dentists — his daughter in private practice and his son in the military. He has 3 daughters who are nurses, and his youngest daughter is attending Indiana University with plans to pursue a healthcare career as well. Dr. Kirk enjoys reading, snow skiing and outdoor water activities. Marcie Guidarelli was born and raised in Chesterton, IN, graduating from Chesterton high school in 2005 and earning her hygiene degree from Indiana University Northwest in 2009. Patients speak highly of her and are always complimenting her on her gentle approach. Marcie currently lives in Valparaiso and enjoys camping, spending time outdoors, traveling, and listening to music. She also loves spending time on Sundays watching football and cheering on the Chicago Bears with family and friends. Paula Serrano was born and raised in NW Indiana. 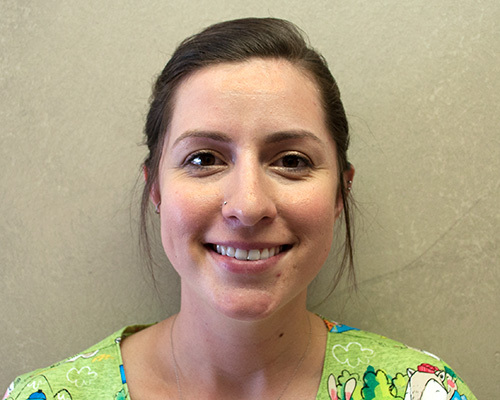 She went to IU Northwest and has certifications in dental assisting, radiology, expanded functions and coronal polishing. She has worked for Drs. Wong and Smolnicky for the past 22 years as a dental assistant. She is a part time instructor at Everest College for Dental assisting. Paula met her husband, Jose, when he was teaching a CPR course in our dental office. They have a son, Josh. 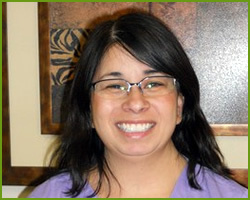 Paula loves dentistry as well as being a mom. She spends her off time with her family and enjoys traveling as well as a lot of outdoor activities such as bike riding and snow skiing. 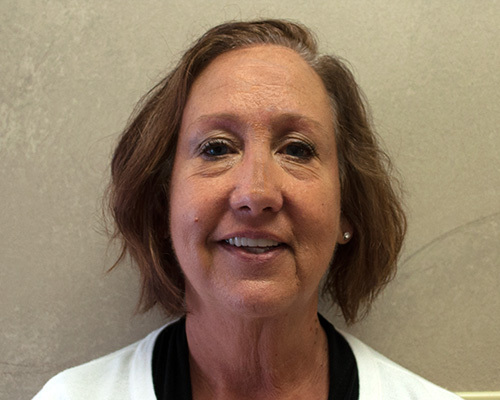 Marci Wilcox attended Everest College of Dental Assisting and holds radiology and EFDA certifications. Marci initially decided to pursue a career in the dental field to help her conquer her own fears of the dental experience. Now, she enjoys helping others with the same anxieties to overcome them by making their visits to Heritage Lake Dental relaxed and comfortable. Marci has two girls, Tyr and Skylla. She also has two cats, Sadie and Destiny, and a dog, King. When she’s not helping patients, Marci has a wide range of interests including container gardening, crochet, building projects, and singing. 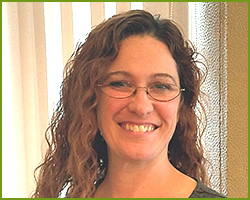 With over 35 years of experience in insurance billing, Kim makes sure that all of Heritage Lake Dental’s patients have as positive experience with their billing and payments as they do with patient care. Kim also greets and checks in each patient to ensure that they’re helped and seen promptly. Happily married for 35 years, Kim enjoys spending her time outside of work with her awesome two-year-old grandson, Liam. Heritage Lake Dental’s newest team member, Sarah graduated from Indiana University Northwest in 2017. She was born and raised in Chesterton, and continues to call Northwest Indiana home today. 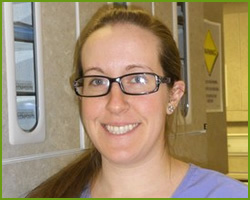 Sarah is known for her soft touch with patients, as well as her comprehensive, thoughtful approach to patient care. In her free time, Sarah enjoys spending time with her two cats and two dogs, and can be found camping, enjoying the outdoors, and playing co-ed softball.